The Italian Mastiff, also known as the Cane Corso,is one of the most popular pets in Italy today, and furthermore, is one of the most popular Mastiff breeds generally; this is a massive contrast to the period after World War 2, wherein the breed neared extinction, owing to the effects of war on Italy’s rural population. Additionally, the breed’s recovery is a testament to its hardiness and widespread appeal. Cane Corso owners frequently commend their canine companions’ playfulness, loyalty, attentiveness, and of course, their impressive appearance. However, there’s much more to the Cane Corso than an exemplary nature and solid build, and the following information will help anyone who’s interested in Italian Mastiffs—incidentally or because they’re considering adopting one—become an expert in no time at all. Where is the Italian Mastiff from? 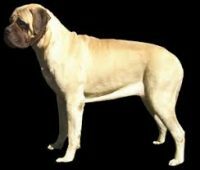 As its name suggests, the Italian Mastiff originates from Italy. Scientists have indicated that today’s Cane Corso is the indirect descendant of the canines used by Roman military professionals during battle. In the interim, however, the dog was used predominantly by hunters, to safely retrieve downed animals, farmers (for similar purposes), and law enforcement professionals (and those of similar careers), for guarding purposes. In short, Italians throughout the ages recognized the Cane Corso’s remarkable ability to loyally protect and serve, and the breed has evolved based on the expectations of owners since then. What’s the Cane Corso’s temperament? The Cane Corso, just like all other dog breeds, features a temperament that varies based upon the animal at-hand; certain genetic factors can cause one dog within the breed to act in a specific way, and another dog within the breed to act in a completely different way. Generally speaking, however, the Cane Corso is stable, trainable, and reserved. In the face of danger or potential danger, the dog can be expected to stand-up for its owner(s)—possibly becoming aggressive in the process, but certainly not shying away from the threat. With that said, the Cane Corso is able to discern between faux and genuine danger with relative accuracy, so its overreacting to non-emergency situations is uncommon. These near non-existent overreactions also occur most often in settings wherein danger appears likely to the animal—say, a large, crowded event hall as opposed to one’s home. Context is everything to the Cane Corso, which was once again historically used on the battlefield and the open farm. Lastly, just as the dog fiercely defends its owner(s), it passionately displays affection to him, her, or them; the resulting friendliness and companionship are remarkable. What does the Cane Corso look like; what are its physical characteristics? The Cane Corso usually appears in one of seven different colors (or perhaps in a slight combination of more than one of these colors): black, blue, fawn, brindle, formentino, tigrato, and reverse blue brindle. The breed’s ears hang loose naturally, but are thin enough to allow all sorts of sounds and sensations to be recognized; furthermore, many owners take the initiative to crop their Cane Corso’s ears, so that they sit upwards indefinitely. The Cane Corso has a large, wide head and a similarly sized tongue and nose; these physical characteristics allow the dog to recognize and gauge as many sights, sounds, and sensations as possible—a point which directly relates to their aforementioned history as security dogs. Its fur is short and smooth, and all but guarantees comfort in warm and cool temperatures alike. Male Cane Corso dogs generally stand 24-28 inches off the ground, while females stand 23-26 inches tall, typically. Healthy adult males weigh somewhat more than females as well—99 to 120 pounds compared to 88 to 105 pounds. The average Italian Mastiff lives to be 10 to 12 years of age. In short, the Cane Corso is a popular breed of dog that derived from the canines used by Roman warriors in ancient times. The dog is physically large, quick to defend its owner(s), and affectionate—provided it receives the required attention and care. An average Cane Corso weighs somewhere in the ballpark of 100 lbs. and will live for around a decade. Thanks for reading, and here’s to the awesome Cane Corso breed!